I coach you to win by connecting you to your heart and passion. Learn to breakthrough self doubt, fear & the excuses. Together we unlock the greatness within you. Live the life of your dreams. I coach, mentor and inspire individuals to win by connecting them to their heart and passion. One-on-one or in group presentations, I have inspired professionals in transition, to overcome self-doubt and face new challenges with determination and confidence. My method is to help you embrace your next career move and to become the person God intended you to become by unleashing the greatness within. As a co-creator, I act as a facilitator and thinking partner who helps clients develop, appraise and crystalize ideas. I'm an unconditional supporter who deals with a client's real-time life issues without judgment. As your coach, I will help you breakthrough self doubt, fear and the excuses that have held you back from becoming the best person you can be each and everyday. I know that no matter how successful you are - in areas that matter most - family, career and personal finance – I can help you reach your highest potential. My primary objective is to listen, help you find clarity and develop clear intentions in your life and career. I've won five Dale Carnegie Human Relations Awards for Making friends and Influencing people. I've led teams to the #1 position in sales production, new accounts, business retention and bottom-line profit. I am a member of the prestigious Sales Builders Club in recognition of sales excellence with Owens Corning. I have known Lee Menefee for over 15 years. During that time he has remained a beacon of sound advice always willing to lend an ear to understand, question assumptions all while managing to get me to take one more step than I thought possible. My career and the abilities I brought to it were enhanced due to my interactions with Lee. He maintains a positive outlook that I believe is sustained by his faith in God and his hope in people. I highly recommend and respect Lee Menefee. For a year, Mr Menefee has coached me in my professional journey. He has been a great asset in helping me with decision-making, strategic planning and life management skills. If you want to exceed personally and professionally, Mr Menefee will help you to reach your goals. - Janet Watson, BA, MA Trainer State of Mo. Lee is personable and motivating. I worked with him in his capacity as a Director Of Sales at Ryder and during that time my respect for him increased. Lee backs his team members up and is always available for discussion. I learned many things from him and have been able to use that knowledge in my future endeavors. It would be a pleasure to work with Lee again. Lee Menefee is an outstanding coach, leader and an excellent person as well. That combination is hard to find in today's work environment. Results driven, Lee always puts his organization's financial success and sincere motivation and concern for his employees first. Always professional in his approach, yet personable when working with clients and his employees. Lee has great expectations for himself and his team; consistently growing a companies profitability. He is able to do this in a very collaborative and positive manner consistently throughout his career. I have worked with really good managers and some really poor managers throughout my career and I can say without hesitation that Lee Menefee was one of the best managers I have ever worked with. Lee’s decision making was always done with the greatest amount of integrity and fairness for everyone involved without compromising the trust of his employees. Lee has a strong ability to motivate his employees to be the best they can be. Lee is a high quality individual who is trustworthy and builds solid relationships with clients, management and direct reports that will last a lifetime. He is an asset to any organization that wants to breed a high quality, honest image. Lee fills a room. He is a big man, a charismatic man, a man of intensity. You can feel Spirit moving through him. I asked him to provide a brief inspirational invocation to begin a workshop. He stood, and after a brief moment of silence, started a crescendeo of brief stories about people who achieved great things in spite of what others believed. The energy continued to rise, and he ended with a call to action: all in the room felt empowered to achieve, grow and succeed. It is my job to inspire others, but with Lee, it feels like the other way - every interaction with him makes me feel better about myself. What a wonderful, wonderful gift. I had the privilege of hearing Lee speak at two events, one at a professional career counseling session and another at a career ministry at a church. At both occasions, Lee’s presentation was captivating. He used his personal life story and passion for helping others to capture the audience’s attention. Lee has a relaxed style, even though he has a booming voice. He talked to his audience as if he was talking to his friend. When Lee spoke, you couldn’t help but listen. In the end, one would walk away feeling charged up and motivated. I highly recommend Lee as your motivational guest speaker. I had the opportunity to attend a Transformation Day in October 2014 and the opening speaker was Lee Menefee. Lee’s energy and smile filled the room as he shared his personal journey through life. The stories included his highs and lows, which got him to where he is today. These stories allowed us to relate to him and look at our own journey. He reminds us that our outlook on life can take us to our next opportunity. I would recommend Lee as a motivational speaker for your next event, due to his genuine positive energy he brings to the group. Thank you Lee for the inspiration. 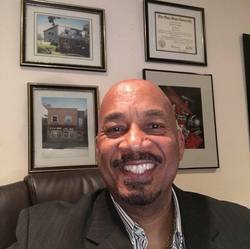 Following an invitation to participate in a career ministry event I was encompassed for over an hour in a spiritually based, business focused and highly motivating presentation by Lee Menefee. His warm smile, positive energy and personal life stories made for an easy participation of his guests. Addressing the topic of “Overcoming Self-Doubt in Your Next Career Move” Lee captivated the room with personal stories of both his successes and failures and how his belief system carried him to victories through life lessons. I left the event excited about new chapters and thankful for the opportunity to attend. I would highly recommend Lee as a motivational or keynote speaker. "When you're not sure where to turn, what to do, don't overlook a dream deferred, even for good reason. It will tell you a lot about what you'll find most rewarding moving forward." My mind took that concept and began to run. Later that evening, I decided to stop looking for a job. What I needed instead, as writer & communicator, was clients. Lee's thoughts were the catalyst. 13 months later, I had the privilege of introducing Lee to the group, not as a job seeker, but as a business owner / entrepreneur with a growing clientele! Lee speaks hope into every situation. Pay attention; it could change your course! "What is the real cost of financial illiteracy?" The truth about financial freedom and retirement. Money is a tool that must be put to work! Learn to control your financial future. Here's something you should know, money is not the root of all evil! It's the lack of money that causes the problems.